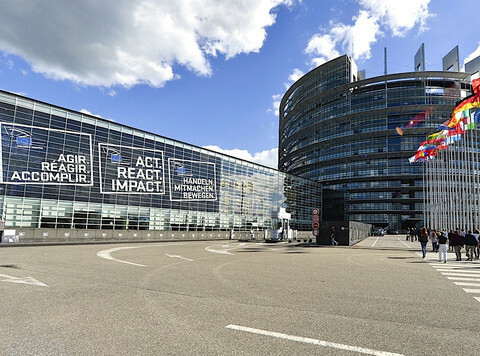 Europe's centre-right will secure a narrow 16-seat victory in this week's European elections, according to the final pan-EU opinion poll by PollWatch. 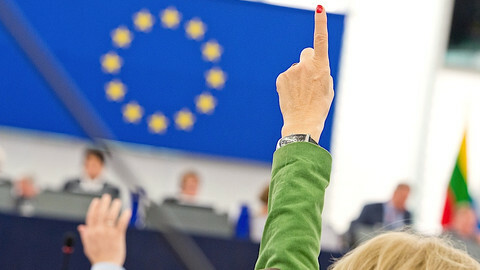 Based on Tuesday's poll (20 May) the European People's Party (EPP) will win 217 seats, while the Socialists are tipped to have 201 MEPs in the 751-seat Parliament. 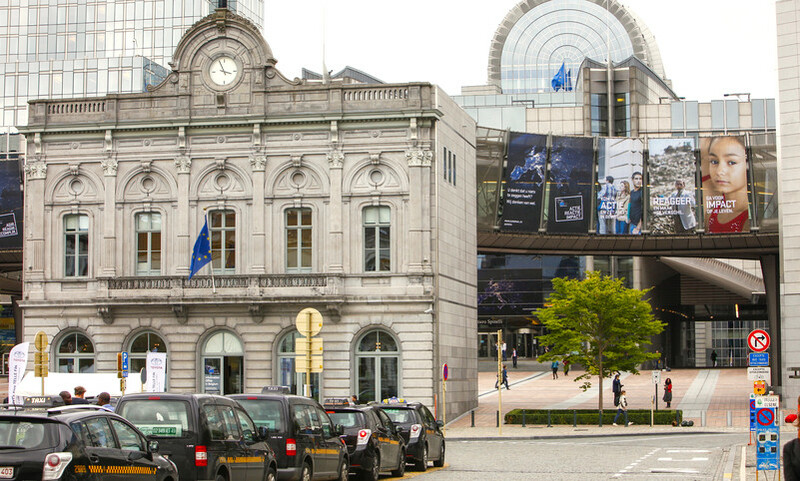 But neither Jean Claude Juncker, the EPP candidate for the European Commission presidency, nor his Socialist counterpart Martin Schulz will be able to secure a majority in Parliament without a German-style grand coalition. The rise of the far-right is set to be the main story when the votes are counted on Sunday (25 May). Ukip is set to top the poll in the UK, while Marine Le Pen's National Front is forecast to win in France. 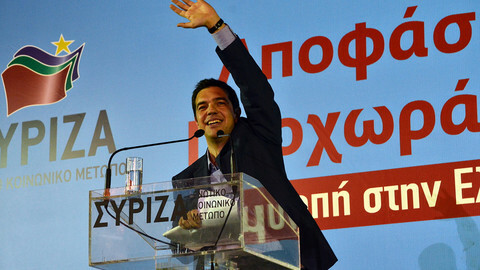 Meanwhile, Alexis Tsipras, who is the left's candidate for the presidency of the European Commission, and his Syriza party, are tipped to win in Greece, the country hardest hit by the eurozone crisis. Between them the Europe of Freedom and Democracy (EFD) group, currently dominated by Ukip, and the MEPs who are not part of a political group, will total 135 deputies, effectively making them the third largest political force in the Parliament. Le Pen is fronting a campaign to set up a pan-EU nationalist group known as the European Alliance for Freedom in the next Parliament. Geert Wilders' Dutch Freedom party, the Austrian Freedom party, and Flemish separatists Vlaams Belang are amongst parties to have indicated that they will sit in Le Pen's new group. This could signal a radical shake up in the working of the next parliament. For the first time, a far-right group could claim chairmanship of a parliament committee – highly influential when it comes to law-making. In a blog accompanying the poll, Pollwatch's Simon Hix commented that "the main trend overall will be a dramatic polarisation of the Parliament" with the centre-right and centre-left groups likely to have to work together more closely to adopt legislation. 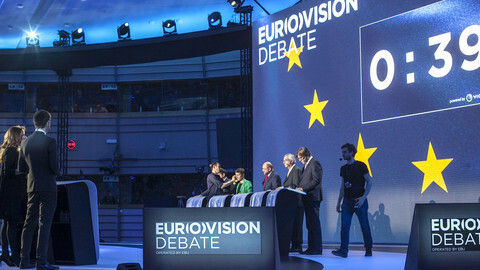 The rise of eurosceptic parties, coupled with the collapse in support for the Liberal group, which has been a kingmaker in the previous two legislatures, but is predicted to fall from 83 seats to 59, makes it increasingly unlikely that any of the five candidates for the European Commission presidency will be able to declare victory without a grand coalition bargain. Observers should "expect a 'grand coalition' on most big issues, starting with the choice of the Commission President," says Hix, describing EPP "Spitzenkandidat" Juncker as being in "poll position" heading into the election. 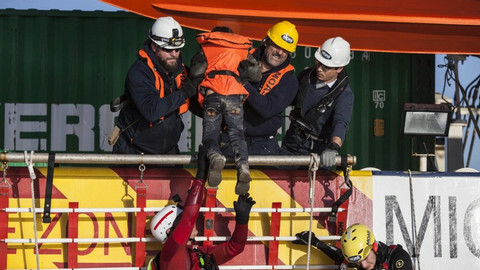 Europe's 400 million voters go to the ballot booths from 22-25 May in the first pan-European elections since the eurozone debt crisis which threatened to rip the single currency apart and prompted a wave of budgetary austerity that has driven up unemployment to record levels. 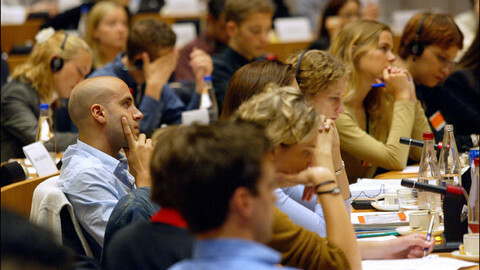 PollWatch, which is headed by London School of Economics professor Simon Hix and backed by the Brussels lobby firm Bursten-Marsteller, makes election simulations based on data from national surveys from all 28 EU countries. 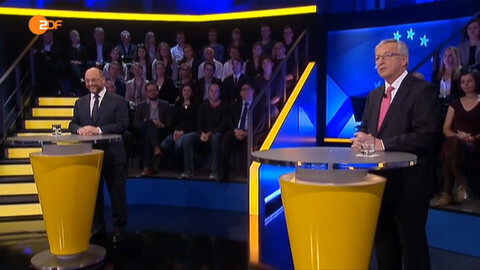 The 'Spitzenkandidaten' of the two largest political groups in Europe traded a few barbs in their first German-speaking tv debate, but agreed on most issues – a foretaste of a likely grand coalition after EU elections. 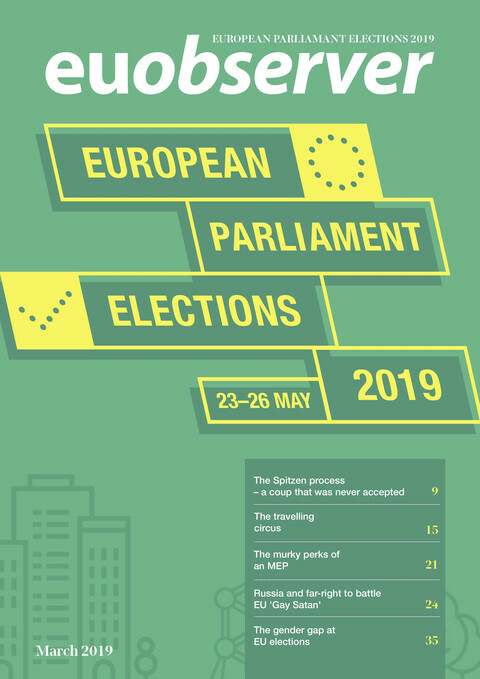 In an overlooked research study released last week by Eurobarometer, the turnout rate of voters in May’s European elections was revealed - it made for grim reading. Liberal MEPs remain the ‘kingmakers’ in deciding close votes in the European Parliament, despite seeing their numbers seriously diminished in last year’s European elections.